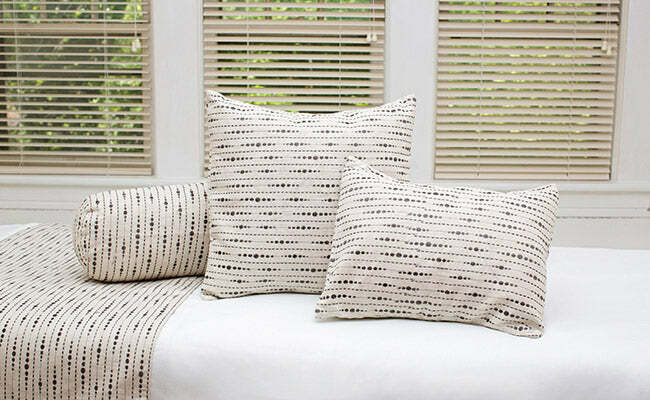 These small repetitive dots create a soothing and subtle pattern that coordinates well with many of our other products. Includes the shell and pillow insert for easy washing. All patterns on the website are available for order, or contact your representative to custom source colors and patterns. Custom pillows are specialty made items, please allow a 2-3 week lead time for delivery.